The Clemson quarterback-receiver duo of Tajh Boyd and Sammy Watkins has earned Atlantic Coast Conference football weekly honors, and Boston College offensive tackle Ian White and linebacker Kevin Pierre-Louis were also among the eight student-athletes cited by the ACC on Monday. Boyd was named the ACC Offensive Back of the Week after throwing for 377 yards with three touchdowns and running for another in Clemson’s conference road win at Virginia. Watkins, who hauled in eight catches for 169 yards and a pair of touchdowns, was cited as the ACC Receiver of the Week. White, whose blocking helped pave the way for a strong rushing attack in Boston College’s win over Virginia Tech, was named the ACC Offensive Lineman of the Week. Pierre-Louis, who recorded eight tackles and returned an interception for a tie-breaking touchdown, earned ACC Linebacker of the Week honors. 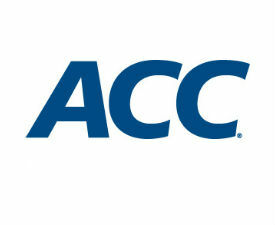 Other honorees included Pitt’s Aaron Donald as ACC Defensive Lineman of the Week, Georgia Tech’s Jemea Thomas as ACC Defensive Back of the Week, Virginia Tech’s Cody Journell as ACC Specialist of the Week and Florida State’s Jameis Winston as ACC Rookie of the Week. The Rookie of the Week honor is the sixth of the season for Winston, matching former North Carolina quarterback Darian Durant (2001) for third-most all-time. Former NC State quarterback Philip Rivers (2000) and Virginia Tech running back Ryan Williams (2009) were each named seven times, the most since the award began in 1970. Clemson’s Watkins was named ACC Receiver of the Week for the second consecutive week and for the third time this season. Boyd also received his third ACC Offensive Back of the Week honor of the year. Georgia Tech’s Thomas was recognized for the second straight week after being named ACC Co-Defensive Back of the Week seven days ago. Boston College’s Pierre-Louis and Virginia Tech’s Journell were also honored for the second time each this season. OFFENSIVE BACK – Tajh Boyd, Clemson, Sr.-R, QB, 6-1, 225, Hampton, Va.
Boyd completed 24 of 29 passes for 377 yards and three touchdowns to lead Clemson to a 59-10 win at Virginia. He finished the day with an efficiency rating of 219.1 while averaging 13 yards per pass attempt and playing just the first 34 minutes of the game. He completed two scoring passes to Sammy Watkins, one a 96-yarder on his last pass of the day, that gave Clemson a 42-7 lead in the third period. Boyd established the ACC career touchdown responsibility record with his three passing and one rushing touchdowns in Saturday’s game. He now has had a hand in 116 career touchdowns (93 passing and 23 rushing). OFFENSIVE LINEMAN – Ian White, Boston College, Sr.-R, RT, 6-5, 303, Conway, N.H.
White was a key component of an offensive line that did not allow a sack and allowed Boston College to rush 42 times for 196 yards in a 34-27 home win over Virginia Tech on Saturday. White helped block and seal the right side for running back Andre Williams on his season-long 62-yard touchdown run that lifted the Eagles to a two-touchdown lead – at 34-20 – with 4:35 left in the game. The team’s 196 yards on the ground marked the highest rushing total by any opponent against Virginia Tech this season. White and the offensive line allowed a net loss of only five rushing yards in the game. RECEIVER – Sammy Watkins, Clemson, Jr, WR, 6-1, 205, Fort Myers, Fla.
Watkins had another record-setting day with eight catches for 169 yards and two touchdowns in Saturday’s win at Virginia. It marked Watkins’ 13th career 100-yard receiving day, breaking the school record of 12 previously held by former teammate DeAndre Hopkins. It was Watkins’[ sixth 100-yard receiving game of the year. Watkins had a 33-yard scoring reception from Tajh Boyd in the first quarter on Clemson’s first possession of the game. He then caught a 96-yard scoring pass from Boyd on the first possession of the second half, Watkins’ second reception of at least 90 yards this season. Watkins is the only receiver in college football with a pair of 90-yard scoring receptions in 2013. Saturday’s big play was the longest pass reception on the road in Clemson history. DEFENSIVE LINEMAN – Aaron Donald, Sr., Pitt, DT, 6-0, 275, Pittsburgh, Pa.
Donald recorded 11 tackles (all solo), including six tackles for loss in Saturday night’s 21-10 ACC road loss at Georgia Tech. Donald’s big night included a quarterback sack and two forced fumbles, and his six tackles for lost yardage are the most recorded by an FBS defender this season. Donald currently ranks first nationally in tackles for loss per game (2.4), quarterback sacks per game (1.1), and 12th in forced fumbles per game (0.38). He also leads all active players nationally in career quarterback sacks with 27.5. LINEBACKER – Kevin Pierre-Louis, Boston College, Sr., LB, 6-1, 215, Norwalk, Conn.
Pierre-Louis recorded a game-high eight solo tackles and picked off a Virginia Tech pass and returned it 33 yards for a touchdown to lift Boston College to a 27-20 lead with seven minutes to play in the fourth quarter of Saturday’s eventual 34-27 ACC win. The interception marked the first of Pierre-Louis’ 39-game career. Pierre-Louis matched a single-game season high with his eight solo tackles. The senior linebacker currently ranks second in the ACC with 73 total tackles (9.1 per game). DEFENSIVE BACK –Jemea Thomas, Georgia Tech, Sr.-R., S, 5-10, 195, Queensland, Ga.
Thomas had a team-best six solo tackles, a tackle for loss, a pass break-up and his eighth career interception in Saturday’s 21-10 win over Pittsburgh. Thomas, who has 21 tackles over the last two games combined, sealed the victory when he came up with his interception at the Pitt 4-yard line with less than a minute to play. SPECIALIST – Cody Journell, Virginia Tech, Sr.-R, PK, 6-0, 195, Ripplemead, Va.
A week after struggling, Journell bounced back with a solid performance in Virginia Tech’s 34-27 road loss at Boston College. Journell ended the first half with a 56-yard field goal, 8 yards longer than his career long, to give the Hokies the lead. The field goal was the longest in the ACC season tied three other kickers nationally for the longest in the FBS this season. He later nailed a 47-yarder in addition to three extra points. ROOKIE – Jameis Winston, Florida State, Fr.-R, QB, 6-4, 225, Bessemer, Ala.
Winston recorded his fifth 300-yard passing game of the season (325 yards) in leading Florida State past No. 7 Miami, 41-14, on Saturday night. Winston completed 12 of 14 passes in the second half as Florida State outscored Miami 20-0 in the final two quarters to pull away. With Winston leading the way, the Seminoles have opened the season by scoring 40 or more points in a school-record eight straight games.